"No one can come to me unless the Father who sent me draws him, and I will raise him up at the last day. It is written in the Prophets: 'They will all be taught by God.' Everyone who listens to the Father and learns from him comes to me" (John 6:44-45, NIV). Have you ever felt like your best effort just wasn't good enough? Maybe you went out of your way to help someone in need but instead of receiving gratitude you got an earful of grumbling because the recipient somehow expected more. Or perhaps you put a lot of effort into a project only to see lackluster results. Kind of makes you want to quit, doesn't it? I think one of the toughest things we face in life is the failure to convince our lost friends and loved ones that receiving Christ's salvation for their sins and surrendering their lives to His will are the only way they will find true and lasting peace and fulfillment. There are some pretty tough nuts to crack when it comes to the people we most want to see saved! But maybe instead of trying to browbeat them to the Cross, we need to simply love them as Christ would and live a life consistent with His Word, a task much easier said than done. That's our part, yet some of us fail miserably to consistently model the love and grace of our Savior. As results-oriented people we may feel we have somehow fallen short of the evangelistic mark if someone doesn't accept our invitation to attend church or receive Christ as Savior. There are many people who are quite persuasive and are much more effective than some of us at leading people to the Lord. What do they have that we don't? When I feel like my evangelism doesn't measure up because that person I want most to come to Christ just won't, I take comfort in the verses above. I am reminded that although many people sowed seeds of truth into my life through the years, it wasn't until I wandered far from the faith during a season of rebellion that I finally heard the Father's voice and was ultimately drawn into an intimate and abiding relationship with Christ. Now it is up to me to live that surrendered life with the kind of love and grace that God can use to draw others to Him. I am trying my best to do my part and leaving the results up to God. How often do we read a familiar verse of scripture and overlook the really neat verse right next to it? As I was preparing to shut down my computer for the night I reached for my bible and it fell open to Jeremiah 29. The familiar verses above were highlighted in my bible, but the middle verse stood out as never before. "Then you will call upon me [the God and Creator of the universe] and come and pray to me [the One who is before and above all things], and I [Almighty God, the great I AM, the Alpha and Omega, Beginning and the End] will listen to you" (v. 12, emphasis added). Did you catch that? Who are we that God would listen to us? What entitles us to an audience with the King of kings and Lord of lords? Maybe you are feeling a little inferior these days, not quite up to par with other believers or co-workers or friends. Perhaps you feel God short-changed you somehow and doesn't consider you worthy of so much as a glance from His loving, compassionate eyes. Nothing could be further from the truth! Jesus died for you! He didn't do anything wrong to deserve such an agonizing death; we did! Yet His Word tells us that when we call upon Him and come and pray to Him, He will listen to us! To us! As you greet the first light of morning, or lay your head on the pillow after a long and tiring day, think about the amazing wonder of God's love for you! "How great is the love the Father has lavished on us, that we should be called children of God! And that is what we are! (1 John 3:1). Did you catch that, beloved child of God? My family and I recently had the opportunity to try out a new pizza restaurant in Collierville. Bella's Pizzeria, located at 833 W. Poplar across the street from Walgreens, bills itself as a "New York style eatery," offering specialty pizzas, stuffed (double crust) pizzas, calzones, sub sandwiches, pastas, and salads. Staffed with friendly and attentive servers, the atmosphere was pleasant and the food was delicious! 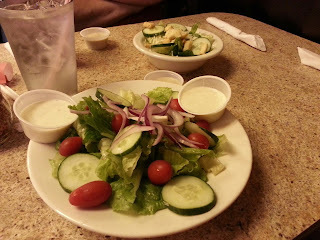 In lieu of tempting appetizers, we ordered salads while waiting for our main course. My husband ordered a small Caesar salad and raved more than once about the dressing. My daughter and I shared a large house salad with ranch dressing. Both salads were fresh and flavorful, loaded with colorful vegetables and accompanied with dressing on the side. For our main course we ordered a BBQ Chicken Pizza, which featured marinated BBQ chicken, onions (the chef gladly substituted red onions for white at my husband's request), mozzarella cheese, and Memphis-style BBQ sauce. Served on a thin crust that was cooked to perfection, the pizza was well balanced -- not too saucy, delightfully cheesy, with savory chicken that had a delicious flavor. 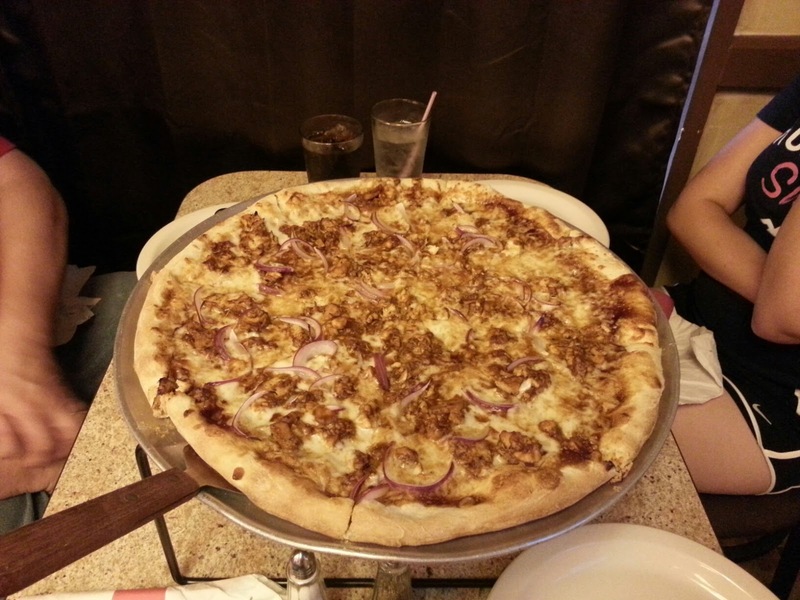 Unlike other BBQ chicken pizzas we have had in the past, the sauce on Bella's pizza was not so sweet or spicy that it overpowered the chicken. We were more than happy with our pizza selection. In addition to serving whole pizzas, Bella also serves a selection of pizzas by the slice. They also offer delivery in Germantown and Collierville as well as carry-out service (phone 861-2544). I plan to visit again soon, at lunchtime with friends. Next time I will try the Greek salad and a sampling of their pasta dishes. Life was simpler when my kids were small and it was enough to just be their mom. Lazy days spent watching "Barney" and "Sesame Street" or gazing in wonder at odd insects and rainbows have given way to the grownup problems of living in a world spinning wildly out of control. Working through the maze of peer conflicts and the pressure our kids face from school, work, and social media has brought many of us to our knees in a puddle of our own tears. Things weren't this difficult when we were growing up -- at least, they didn't seem to be. Nowadays we feel ineffective -- at least I do -- in helping them find the hope for which they are so desperately searching. When I was an older teen it was a natural thing -- a privilege and rite of passage -- to graduate from high school and go on to college or find a job that could actually sustain a life of independence. Now many of us are dealing with young adults who are struggling to find themselves, let alone a sense of direction or a job that pays well enough to pay the rent and put food on the table. There is an underlying fear or sense of dread that is crippling our youth and robbing them of the glorious future God desires for them. What can we as parents do to help our young people overcome their fears and find the hope that will eventually lead them to pursue God's will for their lives? How do we deal with the disrespect and lack of motivation that are fed by this unseen fear? Do we force them out of the nest in order to give them a hard reality check, or do we continue to pray and love them unconditionally even though we know that with a little hard work they could find a better and more satisfying way of living? It is difficult to stop parenting and protecting our kids, opting instead to let them live and learn by their mistakes. Yet, for many of us, that is the only way God could get our attention. Why would we expect it to be any different for our kids? No matter how hard we try to protect them and prevent difficulties in their lives by offering advice and godly counsel, they must make their own mistakes. Do we trust God enough to let Him have His way in the lives of our kids? Perhaps as important, how do we keep ourselves from being completely overwhelmed by all this? It is far too easy to become sucked into the drama, lose heart, and become distracted by all that is going on in the lives of our young people. I often find myself sidelined by what is happening in the lives of my kids and their peer group and lose my focus on the things God has called me to do. And that is all part of Satan's plan. He knows that if our kids are in turmoil we will be, too. If we are in turmoil, we become ineffective witnesses and servants of God at a time when the world and our children most need Him. Next time you are feeling the slightest bit overwhelmed by all that life is dishing out -- whether it is a parenting issue, financial matter, or some other problem -- go back to square one and seek the heart of the One who never meant for things to become so complicated. If it is necessary to adjust what you are doing to survive the moment, then adjust. But don't let Satan condemn you for it. Cry out to Jesus for the peace He promises to those whose eyes are steadfastly fixed on Him. Know that He is fully aware of all you face and remember that He is in the battle with you. In fact, the battle belongs to Him so lay your burdens at His feet, raise your hands and your heart to Him, and offer Him a sacrifice of praise. I see you face to face. Melancholy is such a beautiful word, almost melodic the way it rolls off the tongue. Yet those who tend to be melancholy would probably like to strike the word from their vocabulary. I have always been a little prone to the sadness or pensive thinking of a melancholic personality but have learned, especially as I have aged, that it is okay to embrace the blahs every now and then. 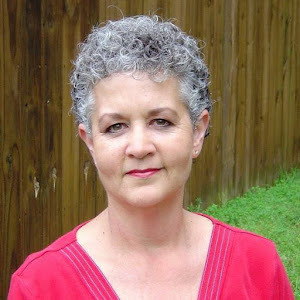 With my husband working two jobs and my teenagers involved in friendships and activities that often take them away from home, I find myself feeling like an empty nester at times. I feel a little lost, not quite sure what to do with myself when no one else is around. But when I realize that as a beloved child of God I am never truly alone, the silence and inactivity don't seem so unbearable. Sometimes I even manage to succeed in filling up those empty hours and drown out the silence with purposeful activity. At the moment, though, I feel a little weary in my soul and unmotivated to do much of anything. Perhaps I am just too tired to care about putting on a load of laundry, scrubbing the toilets, or even writing a blog. I have learned that at times like this the best thing I can do for myself is listen to my body and simply rest. The sanctified solitude of a quiet house on an uneventful evening has become peaceful to me. I find it a blessing to embrace the blahs and unwrap the gift of God's presence as the rest of the world turns. Even if I am prone to beat myself up for not making the most of these quiet moments God never will. He welcomes every opportunity to spend time with His beloved ones! Let Him turn your lonely hours into sacred hours as you draw near to Him. This summer our church has been studying the heroes of the faith – ordinary men and women God used to accomplish extraordinary things. The men and women listed in the eleventh chapter of Hebrews were not perfect but, like us, were flawed individuals who made sinful choices that could easily have disqualified them from His service. God desires that we live holy and perfect lives (Matthew 5:48; 1 Thessalonians 4:7), yet He knows it is humanly impossible. That is why we need God and the grace He promises to those who believe. It is only by His grace that we are saved (Ephesians 2:8) and that He can work through us to reach our generation with the message of hope and salvation. Living a life of faith is no easy task. The trappings and temptations of this world, together with our natural human tendency to live for ourselves instead of others, makes it nearly impossible to nurture and reflect the God-nature that we are to exhibit as His children. Yet, we know that without faith it is impossible to please God (Hebrews 11:6). Many of us believe that choosing God’s ways over our own will result in lives that are dull, boring, and restricted. But nothing could be farther from the truth (Galatians 5:1)! Jesus says, “I have come that they may have life, and have it to the full” (John 10:10, NIV). A surrendered life is one of abundance and adventure! In a recent message, Pastor Ky Faciane said, “Hard times are the testing ground of our faith.” As any athlete can attest, strength and endurance come only when we exercise and train our minds and bodies. The same is true of faith. Our faith grows when our spiritual muscles are put to the test by the challenges we face each day. If we are to finish well, no matter how poorly we start in life or how far off-course we run the race, it will take faith to sustain us and carry us to the finish line. How can we develop the kind of faith that finishes well? It isn’t enough to “be religious” by going to church, praying, and reading the Bible. In order to develop a finishing faith, we need to enter into a personal relationship with Jesus, the One who saves us by the very faith we need to run the race before us. As we surrender our lives and enjoy intimate fellowship with Jesus, He will increase our faith, teach us His ways, and give us the strength to persevere and finish well, even when the going gets tough.